Finding Dr. Thomas and experiencing the healing process our dog went through amounts to a miracle. Our dog, Marlowe, is a chihuahua/pug mix. One day she gradually lost the use of her back legs, so we took her to our regular vet. They confirmed the “bad news.” She had deep paralysis of the back portion of her body. They gave me two choices: do nothing but steroids and hope for the best or go to WSU and pay 3 to 5 thousand dollars on surgery that is not guaranteed to work. The next day a friend mentioned Dr. Thomas. I went and he treated my dog. Four treatments later, my dog was walking. Her walk is not perfect; she has a little wiggle to her walk, and we are continuing the treatment to get her stronger, but she is up and walking. Dr. Thomas provided her with a beautiful cluster of treatments and herbs especially designed for her condition. I cannot find the words to say how grateful I am that we have a veterinarian who understands the world of alternative medicine as deeply as Dr. Thomas does. Marlowe is grateful too. In the fall of 2013, our little 10 year old dog was ill. After much expensive testing we were given an unfortunate diagnosis. In desperation, we turned to Dr. Thomas for an alternative approach. His calm setting, using a Chinese medicine approach with herbs and acupuncture was just what we needed. He enlightened us on a proper diet that would help him as well. Our dog is now healthier than ever, with a glossy coat and boundless energy. We are very grateful for Dr. Thomas. Oh, and that unfortunate diagnosis seems to have disappeared. My mother, sister and I found Dr. Thomas about five years ago when he was in Coeur d’Alene, Idaho. We were thrilled to have found someone like him as he really listens to you and you never feel rushed. This year my dog Tango got very sick with stomach pain and bowel problems. The regular medicine that we were prescribed wasn’t working. I found out that Dr. Thomas had relocated to our area and I called him and he gave up his lunch hour to get Tango in that day. I felt that I was very close to losing Tango. After Dr. Thomas’ intervention, we have gotten rid of his pain, his stomach issues are near normal and he is feeling so much better. I am so grateful to have Tango’s health back..
My little golden-doodle Gabby, was suffering from itchy ears and itchy skin. 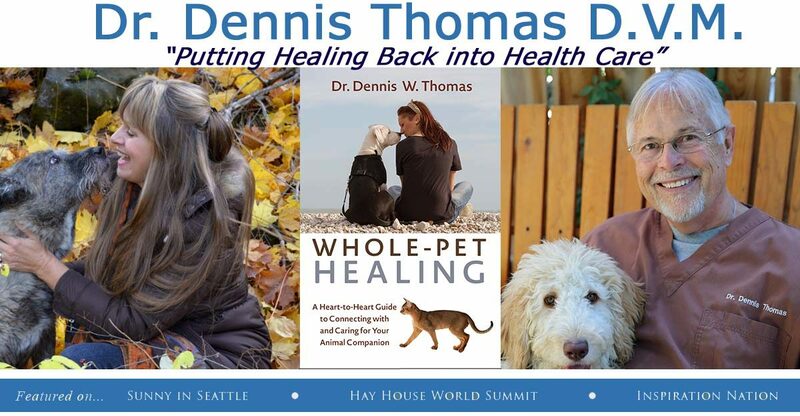 I attended a presentation given by Dr. Dennis Thomas and was very impressed with what he had to say about alternative and complementary veterinary medicine. I took her to see Dr. Thomas and he spent 90 minutes with us explaining the changes that I needed to make in order to re-establish health and well being for Gabby. Now, I can report that his suggestions worked. I am quite certain that Dr. Thomas has a specific plan for your doggy or kitty too. Gabby and I feel so fortunate to have found this wonderful, caring veterinarian. When our dog, Gina, suddenly came down with a rare life-threatening condition I took her to a regular veterinarian and then a specialist. They did a good job of finding out what the problem was but couldn’t offer treatment beyond a lifetime on steroids. Without the possibility of her being healed, we took her to see Dr. Thomas. He immediately began to work on multiple aspects of her health, not just the symptoms. He has used a combination of diet alteration, acupuncture and Chinese herbs, which has allowed us to reduce her steroid level down to a minimum dosage and we are hoping that in time we will be able to remove her from them altogether. She is much healthier and happier. Dr. Thomas does an amazing job integrating different philosophies of medicine and is a good, kind and conscientious person. My dog loves him and so do we! Abbey, my senior Weimaraner companion, has been struggling with arthritis and urinary incontinence for some time now. Her medications weren’t helping and I was at a loss for how to best care for her. We were blessed to find Dr. Thomas, who has been working with us to help ease Abbey’s joint pain and bring her back to a state of balance so she can enjoy her “Third Act” with limited discomfort. Dr. Thomas is extremely knowledgeable, gentle and kind. Abbey feels right at home with him in his beautiful healing room. The whole family is learning a new approach to health as we have watched Abbey’s progress. Ate age 13, our mixed terrier, BJ was diagnosed with a cancer of the pancreas. The outlook was grim for BJ as her symptoms were severe and surgery was not a good option. We had the good fortune of having Dr. Dennis Thomas, a holistic veterinarian, assess BJ’s condition. With diet modifications, supplements and acupuncture treatments our dog’s condition improved beyond our expectations. She was weaned off her current medications and for 1 1/2 years, BJ enjoyed a quality of life better than most dogs her age. We are grateful beyond words to Dr. Thomas for his care and treatments for our much beloved BJ. Our sweet Anatolian Shephard mix, Tonka, developed an autoimmune disorder. Tonka had many symptoms including infected skin and ears. At age four, he was also diagnosed with hip dysplasia and a partially torn cruciate ligament that would require surgery. I looked for an alternative plan and was fortunate to find Dr. Dennis Thomas. Dr. Thomas thoughtfully considered Tonka’s entire story and began to correct the problem using diet changes, acupuncture and herbal therapy. Five months into the new program, Tonka is a totally new dog! He has been able to resume activities that were once too crippling for him. Tonka is happy and healthy and I believe that the work that Dr. Thomas has done has given Tonka his life back. 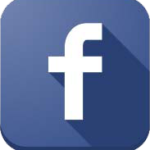 Get my latest updates in your inbox! Learn the ancient secrets behind REAL healing and get your free copy of my book today! Extend your pet's life by 2,3, or even 5 years. And, get my free ebook Energy Medicine: Putting Healing Back into Healthcare Today! Do Pets Get Leaky Gut Syndrome? I'll never share or sell your information to anyone-I promise.